and in your home as above mentioned and further. Generally, a problem of refrigerator could come from one among many of causes. For example, "not cold enough" could be a problem of thermostat, door seal, evaporator fan, compressor fan, relay, overload, compressor, circuit board or dirty compressor coil, etc...Therefore, without experience and knowledge, it is hard to find out where the problem comes from. We increasingly upgrade workshop with most modern device, tools to have highly-effective result in the job, meeting your refrigerator needs. Also, we could solve extremely difficult problems in your refrigerators such as compressor replacement, evaporator replacement, freon recharging ...etc. 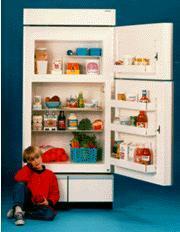 Nowadays new generation refrigerators have become more and more popular. New generation refrigerators are ones that their system are controlled by a Circuit Board. Controlling via a circuit board is so good in technology in general. However, the disadvantage here is when a small electrical problem occurs, a whole Circuit Board must be replaced. As my experience, original Circuit Board is generally good and it could work for years; However, most new Circuit Boards replaced often lasts not long as original. We have ever met some new refrigerators to consume up to... two Circuit Board in only one year. And as you know, Circuit Board is so expensive among refrigerator parts. To avoid consuming Circuit Board in some refrigerators, we can repair some details, by the way it has problem, and it will work better, lasting longer. 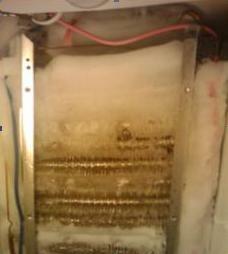 And especially, when the refrigerator has problem, it does not need replacing a whole circuit board. This technique is likely that a ship is divided into several compartments with bulkheads. If a compartment has problem, only it is fixed and the ship does not sink. It means that only electrical component that is bad in your refrigerator is fixed or replaced, not replacing a whole Circuit Board. It is great. Isn't it? Warning: _Freon is often a heavier-than-air gas. Leaking freon could make some people who is the area suffocated. If you live in Wake, Durham Counties or one of the surrounding cities and you don't see your location, please give us a call and we will be glad to let you know whether we service your area.